Everyone knows that the government makes a stupidly large amount of cash from the sale of tobacco products but the exact amounts gathered by the greedy tax man from British smokers is clouded in secrecy. The duty amounts are known but exactly how much ends up in the government’s coffers isn’t well publicised. We’ll tell you all about tobacco taxes in the UK so you can be aware of just how much money the government takes from smokers. The tax on cigarettes and tobacco products goes up every time the Chancellor reads out his annual budget. The current amounts paid by smokers in the UK varies depending on the type of tobacco product. 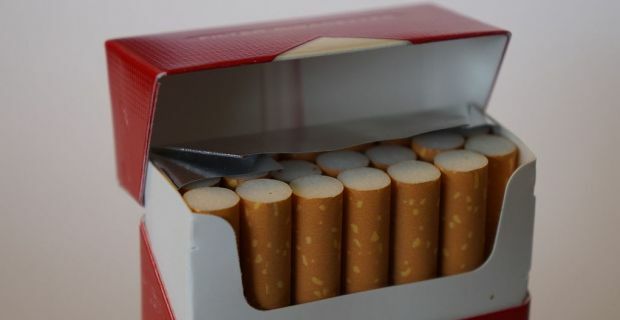 Cigarettes come with a 16.5% tax on the retail price. An additional tax of £3.68 is also levied on a packet of 20 ciggies. Cigars have a £2.30 tax on 10g cigars and hand rolling tobacco attracts a £4.51 tax on 25g packets. Other products like pipe tobacco and chewing tobacco attract a £2.52 charge on 25g packets. On top of these duties, VAT is also added so you’re paying two separate taxes. The taxes that smokers pay amounts to 2% of the government’s total revenue for the year. Each year between £18billion and £19billion is spent by British smokers on tobacco, although that only accounts for 1.8% of British household spending. The government’s cut of £9.5billion sounds pretty good but society loses about £12billion a year thanks to smoking. An estimates £3billion is spent by the NHS on smokers, businesses lose £1billion worth of business days thanks to smoking related sickness from work, £400 million is spent on sorting out smoker related fires and the damage caused, and the remainder of the money lost to smoking is attributed to time the time smokers spend away from work in smoke breaks and the cost of dealing with elderly people whose fitness has been adversely affected by years of puffing on cigarettes.